You have found the perfect house, cooperative or condominium apartment after a long search. It has the ideal updated kitchen to show off your culinary skills and a beautiful bathroom that rivals a spa-like retreat. Is there anything that should delay the signing of the contract and procession to closing? Yes, there is. 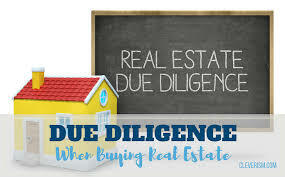 A prudent purchaser needs to conduct the appropriate due diligence to make sure that the property and surrounding neighborhood is financially and physically sound. Otherwise, the purchaser may acquire a property that is a long-term headache and difficult to sell when desired. 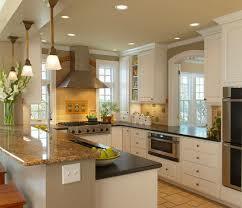 First, an inspection should be conducted by a professional engineer when buying a house. Some condominium and cooperative purchasers also find it appropriate to conduct an inspection. For a house, such an inspection may reveal a serious condition, such as a crack in the foundation. In this case, the buyer may want to search for another property. An inspection may also show items that the buyer will want to monitor once she is a homeowner. For instance, if the inspection predicts that the remaining useful life of the roof or the hot water heater is going to be five years, the homeowner may want to budget for such replacement and should not be surprised if these elements need replacement at such time. The inspection may also list items that your attorney may wish to request for inclusion while negotiating your contract. The seller may agree to repair the dishwasher, replace a broken smoke detector and the like prior to closing. Inspections when purchasing a foreclosed property serve another purpose. Although properties offered for sale after foreclosure are generally strictly “as is”, inspection results that are unsatisfactory to the buyer may allow the buyer to cancel the contract or present the opportunity to ask the seller to remedy a particular condition or offer a price reduction. In any case, the buyer will have knowledge as to the condition and the expectations going forward. Building-wide financial matters require evaluation when considering a cooperative or condominium purchase. It is customary for a purchaser to be provided with financial statements for the past two years. A buyer should be wary of the following serious financial issues. The building has been running at a deficit, meaning that the amount of its total expenses exceed the amount of its total revenues. Is the building paying for ordinary expenses on credit? A line of credit should not be used to pay for fuel oil in a financially sound building. Are maintenance or common charge increases frequent and substantial? You may want to find another apartment if each year the maintenance or common charges increase by more than ten percent. Is there an assessment and for what purpose is it raised? An assessment could be levied to cover ordinary operating expenses or for a capital improvement such as a lobby renovation. It is not a good sign when an assessment is levied in order to cover ordinary operating expenses. When is the underlying mortgage scheduled to be refinanced? If the date is relatively soon and interest rates have increased, the buyer should expect that the building’s expenses will increase and that such increase will be passed on to shareholders. When buying a cooperative or condominium unit, a visit to the managing agent’s office by the buyer or her attorney is in order to read the board minutes. Such minutes may reveal a dispute between neighbors, such as one having a noise complaint against another. Potentially, the “noisy” neighbor may be the one above the apartment being purchased. Determining the sublet policy could be important. Let’s say that you are purchasing a small apartment for your use now, which apartment is not suitable to adding a spouse and children at a later date. You will appreciate the flexibility of being able to sublet the apartment if you are not ready to sell it when you buy a house to share with your family. Conducting a litigation or Google search may show something about the property that is of concern. There could be a lawsuit involving the cooperative building concerning improper activities by a board member or managing agent or alleging that the building was poorly constructed. A Google search may also show the nature of cooperative disputes conducted online and whether such disputes are of concern to the buyer. Boundary and property line issues could be discovered. A buyer will want to know if the adjoining property owner to the house being purchased has a complaint concerning a driveway easement, placement of a fence and the like. During the due diligence process, some of the matters discovered may be enough for a buyer to retreat from the deal. Other matters may merely be cautionary and the buyer may love the property so much that she decides to proceed with “open eyes”. Once the contract is signed, due diligence is not over. A title or lien search will be conducted by your attorney. If the seller cannot resolve matters of concern on the title or lien search, then the buyer will not be required to take title with such a title defect. Our firm is prepared to advise clients from the due diligence process through closing. The goal remains to legally protect you while you acquire your dream home.